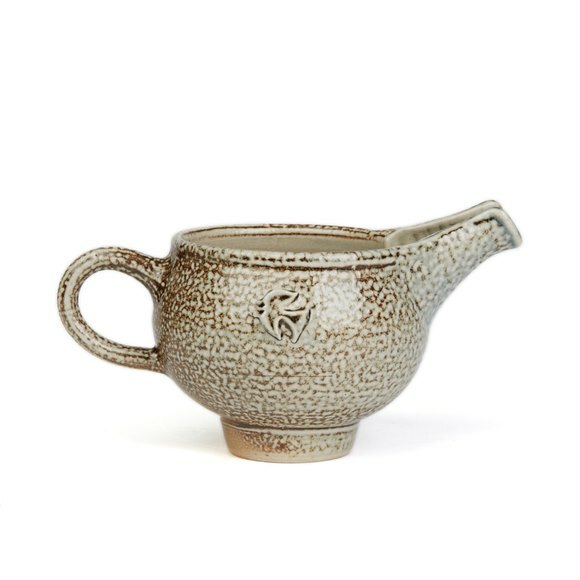 We are delighted to offer this superb Doulton Lambeth gourd shaped vase designed by Francis Pope and probably dating from around 1905. This very stylish bulbous stoneware vase has a ribbed and incised design to the body with a narrow footrim and a slightly raised narrow opening. 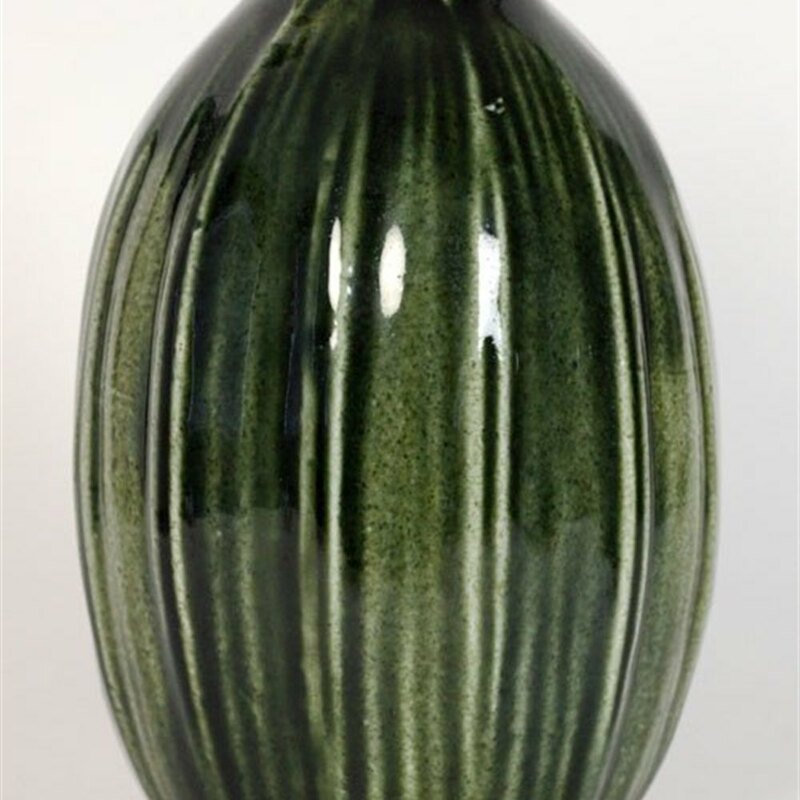 The vase is decorated in green coloured glazes with highlighting created by the natural colour of the underlying clay body. The vase has an impressed Doulton Lambeth makers mark along with an incised monogram for Francis.